There are a number of cruise options on Lake Maggiore, both from the Swiss side and from the Italian southern end. Either way you can sail round the lake to your heart’s content stopping at pretty little towns, villages and islands along the way (just remember to take your passport, especially if you intend crossing the Swiss/Italian border). Navigazione Laghi operates cruises on several Italian lakes including Maggiore and full details and seasonal timetables can be found here. We opted to take a trip from Locarno out to the Isole di Brissago – about 30 minutes cruising time via the adjacent town of Ascona. With the favourable climatic conditions on the southern side of the Alps, the Lake Maggiore region is home to some wonderful gardens with beautiful displays of colourful plants and flowers. There are a couple of Brissago Islands – we visited Isola Grande (the large island), which is home to one of the most magical gardens we had ever visited, the Ticino Botanical Park or the Botanical Gardens Of The Islands Of Brissago (I’ve seen it referred to both ways). The “Ticino Top Ten” web page describes the islands on the information page as a “small subtropical paradise on Lake Maggiore” and it would be hard to disagree! Once you set foot on the island you’re spoilt for choice – we wandered round at a leisurely pace admiring the natural beauty. The beautiful plants and flowers come from all around the world including our home region of Oceania! There is a charge of 8 Swiss francs per person to go round the island but with a Swiss Rail Pass, which we had, you get a 20% discount as well as free rides on the boats at the Swiss end of the lake. You will soon notice the grand form of a Palazzo style house – this magnificent residence is a clue to the history of the island. Originally the island had been the site of a convent, which had fallen into disrepair. In 1885 a Russian Baroness, Antoinette St Leger and her husband Lord Richard Fleming, purchased the Brissago islands and set about cultivating a beautiful garden for their personal enjoyment. They restored the convent to use as a house, enriched the soil, built meandering pathways and planted an array of exotic trees, plants and shrubs. However by 1927 the Baroness had lost all her wealth (her husband had left some years previously) and so she was obliged to sell the islands. They were purchased by a wealthy entrepreneur, Max Emden, who was born in Hamburg and later relocated to Ticino. He had the Palazzo style house you see today constructed. There was a considerable amount of information on Emden around the house – both in writing and photos. The impression we formed was that he had had some sort of mid life epiphany and decided to devote himself to a life of pleasure and art appreciation on his island hideaway. Suffice to say the ghosts of the nuns must have been turning in their graves. There were wild rumours of hedonistic parties around the house, gardens and neo classical pools that Emden had constructed. If you want to discover more and can read German I did find his biography for sale here. Whatever the truth, Emden passed away in 1940 and eventually in 1949 a public foundation with several members, including the Canton of Ticino, was able to purchase the islands. From then on the island, house and gardens have been held by the trust for the benefit of the wider public, both locals and the numerous tourists who visit the island and botanical gardens each year. 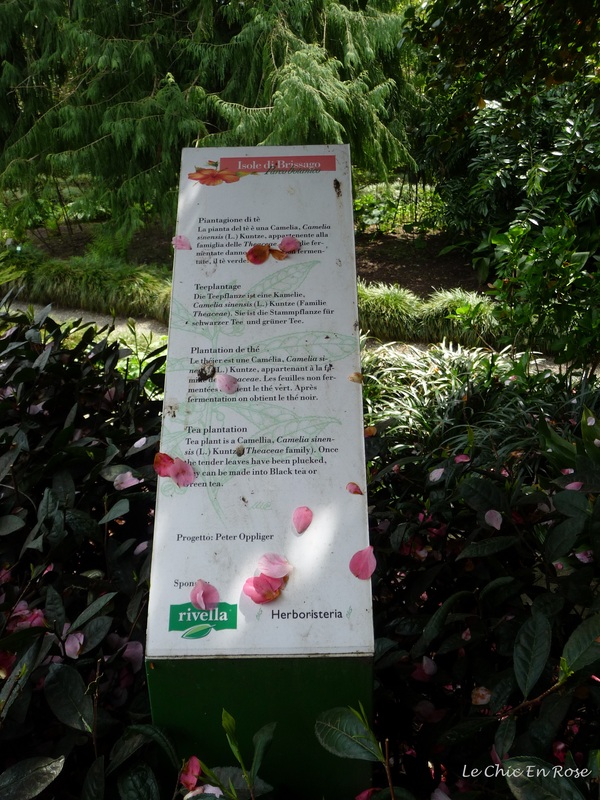 I am not a botanical expert but one doesn’t have to be – there is a wealth of information about the horticultural displays. We did notice a far greater number of visitors than had been the case in Locarno. We were visiting towards the end of April so not high season but Isole di Brissago, not surprisingly, is a very popular destination from both the Swiss and Italian ends of Lake Maggiore. We didn’t feel crowded except in the house where the cafe/restaurant was packed. Consequently we took ourselves back to the mainland and Ascona for lunch. I would guess it might be a different story in July or August but we felt very peaceful and relaxed wandering round the island savouring the beautiful experience. 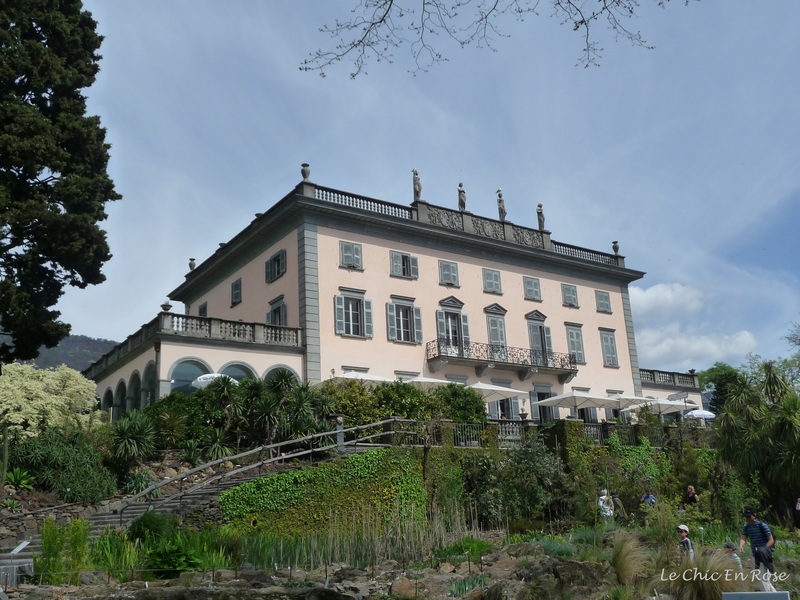 The Gardens Of Switzerland initiative has some interesting information about gardens open to the public in all the Swiss Cantons including the Isole di Brissago and you can follow the various links on their web page here. Greenhouse in the botanical gardens. We have a bird of paradise in our garden back home in Perth too! Next week we’ll head off to the pretty lakeside town of Ascona for lunch. Ciao for now! Oooh! That botanical garden sounds and looks amazing! It was lovely Gin and would be stunning whatever time of year 🙂 I could have stayed there for hours it’s the sort of place you never want to leave! I’ve always loved them too – you feel so good spending time amongst the beautiful flowers and shrubs! And then you realise that the flowers are so complex, full of little details. it’s a fascinating world. I love flowers. The history of the house is fascinating Rosemary and then you’ve got those gorgeous gardens too! What a perfect day out – also perfect that it wasn’t packed full of tourists. Never been to this area but your post makes me want to!! Have a great weekend. What a beautiful place! It reminds me of the coast after Sorrento and the Isle of Capri. We still haven’t been to that neck of the woods yet – but it’s on my list! So much beauty once again Rosemary. My favorite snaps are the View From the House, Palazzo Isole di Brissago, The Swan and The Ascona Quayside. Looking forward to seeing more on Ascona!